Artist Denis Medri, has already blessed our lives with his medieval redesigns of The Avengers. 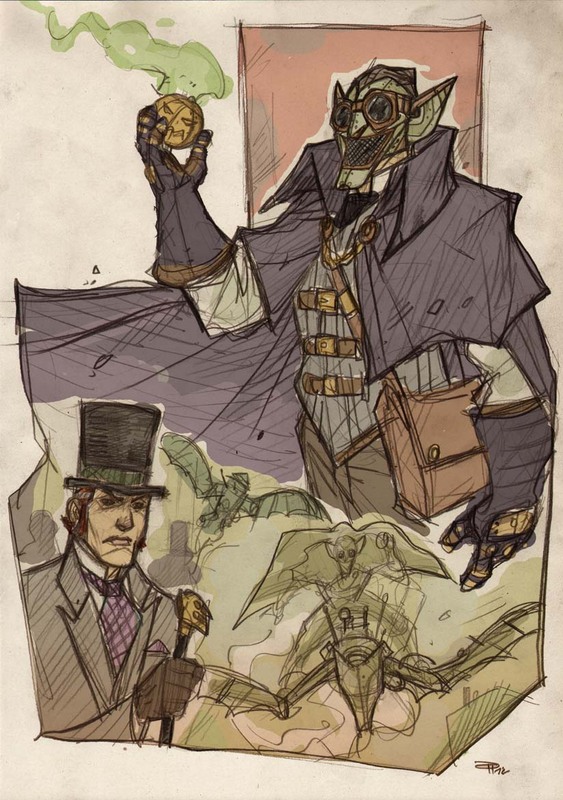 Now we have the privilege of sharing his steampunk take on The Amazing Spider-Man. I know the eras don't match, but I could totally see this version of Peter Parker fighting alongside the Rescue Version of Captain America. This version of Green Goblin makes a lot more sense than the Power Ranger looking shiny thing in Raimi's 2002 film. 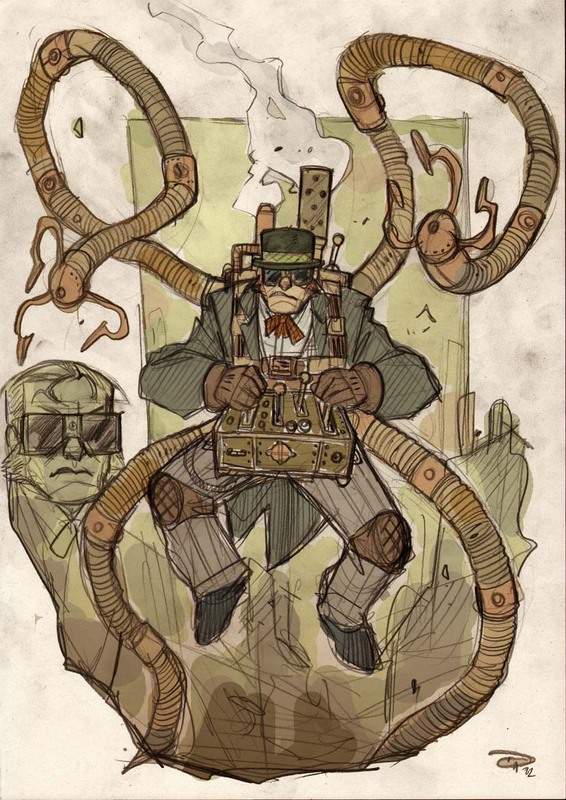 And a steam powered Doc Ock would be awesome to see on film. The only problem I'd see with Peter Parker being in that steampunk era his day job as a photographer is dealing with a camera back then would be a lot more time consuming.